A FUN, FRIENDLY, SAFE PLACE FOR YOUR CHILDREN. 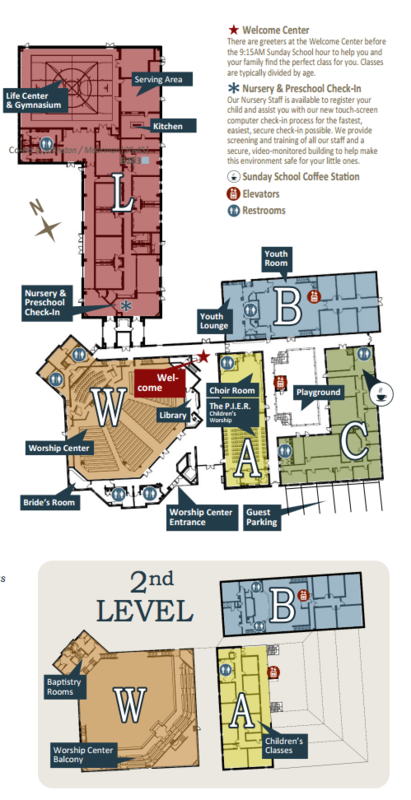 Upon arrival, visit the Welcome Center inside the Worship Center lobby. A greeter will direct you to your class or to the preschool and children’s building to check-in your child for their activities. A BIBLE STUDY CLASS JUST FOR YOU! Inquire at the Welcome Center and try out a small group during our Sunday School hour! Bible Study Classes are selected by age and life stage and are the best way to get connected. It is a time for the entire congregation to focus on God as we participate in the different aspects of our worship service. The traditional style of the Celebration Choir leads the congregation to worship our God in spirit and in truth. Pastor Patrick Pfrimmer presents messages that are biblically based and practically relevant. Without question, you’ll be inspired and motivated by the message. AN ATMOSPHERE WHERE YOU’LL BE COMFORTABLE DRESSED CASUALLY. You’ll see people from all walks and seasons of life dressed in a wide range of styles. We invite you to dress comfortably and remember that God does not look at the outward appearance, but at our hearts when we come to worship Him.